It takes certain leap of imagination to conjure an image of bowling out a foreign Test ranked team for only 61 runs. But it's a myth that would be hard to debunk for the Bangladeshis have managed just that following two defeats by large margin. With Harry Houdini's death anniversary approaching on 31st October, I borrow themes from the master's act and invite all skeptics and believers alike humbly presenting the series this time in a form of triptych. Bangladesh crashed right into a wall of bricks in the inauguration match of the Walton ODI tournament. Literally. After West Indies batted first, Lendl Simmons, who would later prove out to be the highest run getter in the series , built almost a run-a-ball innings of a ton and about two dozens more off just 124 deliveries. It's a bowling miracle that West Indies would go on to be restricted under 298 after the first wicket fell at 217 off a Rubel delivery. Naeem Islam would open due to a technicality as the regular opener Imrul Kayes was not given the go by the officials after he exceeded the time limit to be spent outside field during first innings. Naeem started off as scared as someone catching a bullet with balls whizzing past him. Bullet he did bite, however, not before the audience witnessed him crawl his way to a half-century in what seemed like 109 minutes of pure Chinese water torture. Shakib made a brief cameo of a 58 ball 67 with some elegant boundaries but it was of lost cause for the men have dug themselves in to a deeper hole by now. Whatever pride the team had left after Mushfiqur forced a win in the T20 was lost in a day having failed 40 runs short of the target. A must-win performance by the hosts was required to stay alive; but, it was another rehashed script of collapse. Mushfiqur Rahman decided to bat first after winning to toss on the very same pitch where he won a thriller with a stylized six setting capstone for further victory. But an unstable top order proved him otherwise. Yet again. In a seemingly masonic ritual, Kemar Roach and Ravi Rampaul would get rid off Kayes, Tamim and Asraful putting them in a situation which would be impossible to climb out of. The cards read at 1-3. New batsmen at the crease, Mushfiqur and Shakib would try to make amends with the latter giving Roach proper treatment with three boundaries in an over. 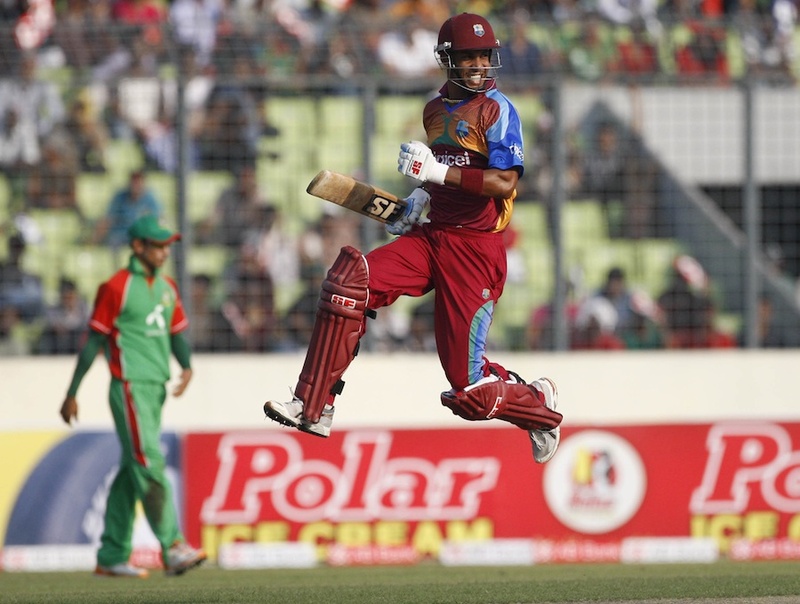 But Shakib would perish the very next over to a good length delivery of Ramdin. Bangladesh began to choke at 18/4 with no recognized batsmen left in the pipeline. With the entire top order gone it fell upon Alok, Kapali and Naeem to resuscitate the innings to 150 cutting down risks. Mushfiqur's patient 69 runs off 109 balls came to an end at deep square leg only after hitting a six over the same region. After his departure Nasir found himself with Razzak, a man of short fuse to find Bangladesh reeling around 197 for 8 with an abrupt run out. Sensing that end is near, Nasir Hossain, who was at 33 gave himself the greenlight to go pathological in the 48th over dealing Russell severely with a six and two fours. Shafiul wanted to get in the act too but got caught at aerial route and the team failed to launch with wings of wax. In spite of Mushfiqur, Nasir and Razzak's isolated efforts to bootstrap themselves up from shambles, West Indies would go on to conclusively win the match with 8 wickets in hand with a 111 run 2nd wicket partnership from Simmons and Samuels. It was all curtains for Bangladesh. They have lost the series 2-0. They say sometimes success involves being at the right place at the right time. Louis Pasteur however said: "Luck favors the prepared mind." No matter how you look at the third ODI, Bangladesh seemed to have everything going for them a karmic retribution. Caribbeans- who otherwise acclimated well in Bangladeshi conditions- miserably failed to read the pitch. Chittagong happened to be a totally different ball park and the turn spinners purchased left their bank broke. It rained all day on eve of the match and match was delayed an hour due to wet outfield. Mushfiqur after winning the toss chose to field and Ranil Avinayeka attested with statistics about team batting second winning more matches. If anything, Zimbabwe were routed out by the Bangladeshis for 44 two years earlier around this season in the same field. Four changes were made from previous squad and Shuvo, Hom, Nazmul and Shariar Nafees were brought in for a benched Ashraful, Alok, Rubel and Razzak. The affair that was to be wrapped up within two hours started with thorough execution of plans by openers Shafiul and Nazmul both keeping line and length tidy in tandem. Sixth over saw the first opening with a careless shot to fields by Danza Hyatt leaving the score at 10/1. Although both bowlers would go on to lose the plot each conceding two boundaries in the over, what followed in the short interlude of three overs is worthy of an anecdote for years to come. Three things were taking place: 1) soggy outfield and rain with gremlins in the pitch; 2) decent line and length by the openers with pressure; 3) an early breakthrough which to Bangladeshi's is a gift from god. All these three factors with a Chittagong crowd of Tamim fans conspired a strange marriage of events. Next one to fall was on the 11th over with Shuvo taking Samuel's catch at sweeper cover followed by Mushfiqur's smart captaincy to introduce Nasir Hossain. And Nasir who just had a tremendous series would not go on to disappoint. Before you know it, Powell and Pollard were both out in PP with an exuberant Nasir on a hattrick after a delightful off-breaker to hit Powell's stumps and a caught-and-bowled off Pollard. Shafiul was brought back after two new men were in the crease. He struck at the fourth over, Dwayne Bravo was out with a catch to Mushfiqur and suddenly at 38/5 a collapse ensued. Revenge may be bitter, but Bangladeshis were all smiles as the proceedings hinted at the hauntingly familiar appearance of 58 a.o. Shakib had different plans. In Bengali there is a saying, "Ustader mair sheshe" which roughly translates to 'Master strikes last" and after a late introduction, he ended with a match-winning spell of 5-0-16-4 paused only by Shuvo's wicket of Russell. 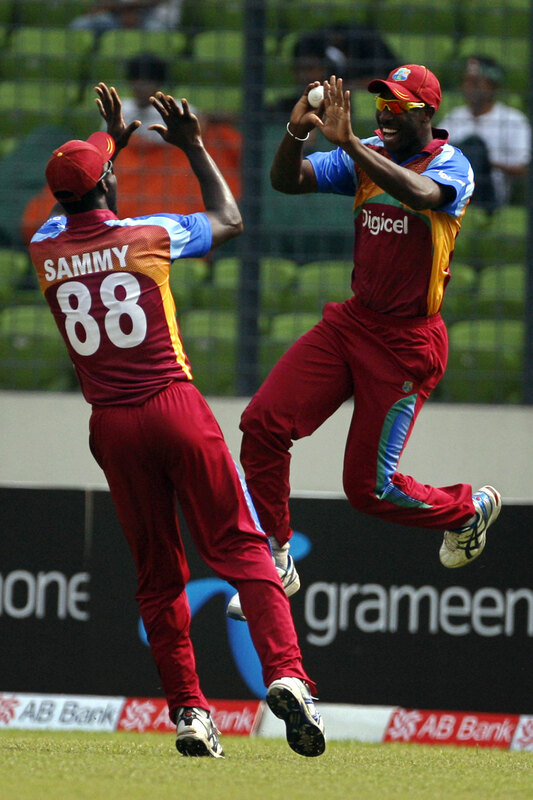 West Indies were all out for 61 after 22 overs setting up an easy target for Bangladesh. But it was not to be a free pass as the Bangladeshis struggled to scour runs from a minefield with rain as a threat and a subdued Tamim 62 balls to score 36 at a SR around 58. Tamim who suffered long-term fear of being in the record list of an opener failing to remain not out would witness a monster six from Kayes over long off and retire next with followed by a Shariar Nafees duck. Patient strike rotation with Mushfiqur would enable Tamim to break his record and see the hosts home with his confident partner Mushfiqur stating in the presentation ceremony about his positive intent of having nothing to lose. Yes, when you have lost everything and stripped naked bare, then you might just as well find your true self. And as for a spiritual nut and a hopeless romantic in me: What better gift could you ask for on your birthday? This page has been viewed 3310 times.